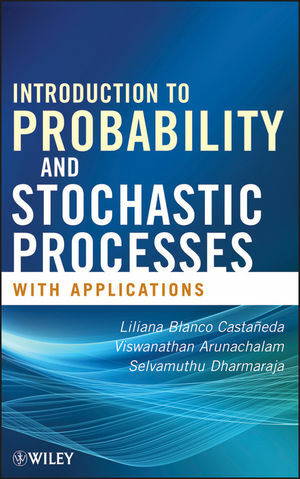 LILIANA BLANCO CASTAÑEDA, DrRerNat, is Associate Professor in the Department of Statistics at the National University of Colombia and the author of several journal articles and three books on basic and advanced probability. VISWANATHAN ARUNACHALAM, PhD, is Associate Professor in the Department of Mathematics at the Universidad de los Andes, Colombia. He has published numerous journal articles in areas such as optimization, stochastic processes, and the mathematics of financial derivatives. SELVAMUTHU DHARMARAJA, PhD, is Associate Professor in the Department of Mathematics and the Bharti School of Telecommunication Technology and Management at the Indian Institute of Technology Delhi. The author of several journal articles, he is Associate Editor for the International Journal of Communication Systems.